Whether or not things run smoothly in business, and in every aspect of life, isn’t just a question of how well someone knows how to do their job. Of course, training and experience matter but, even more important, is a person’s emotional ‘tone’. Emotions do not manifest only in someone acting happy, sad, angry, enthusiastic and so on. They go a lot deeper. In fact, they dictate how a person will treat others, and how they will treat their duties and their company. A person who is angry, for example, is also likely to make certain types of mistakes on the job. As well as being unpleasant and difficult to work with. Someone who is bored will tend to be a little careless. They’ll do an okay job, but it might not be thorough, and it won’t be outstanding. An enthusiastic person, on the other hand, will often do more than is asked for, more than is expected. There is a long list of possible emotions. And each of them manifest in ways that can make your company successful, or cause difficulty and even failure. Find out more about how emotions affect your company, and what you can do about it, with Emotions in the Workplace. 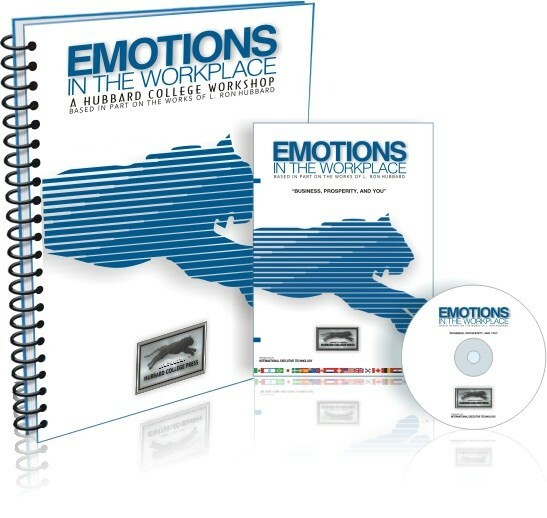 The Emotions in the Workplace package includes workshop materials and a DVD.